Made from factory stained pine that’s truly renowned for its natural beauty, durability, and resistance to weather; the Avalon gives you an outdoor destination perfect for relaxation and entertainment. 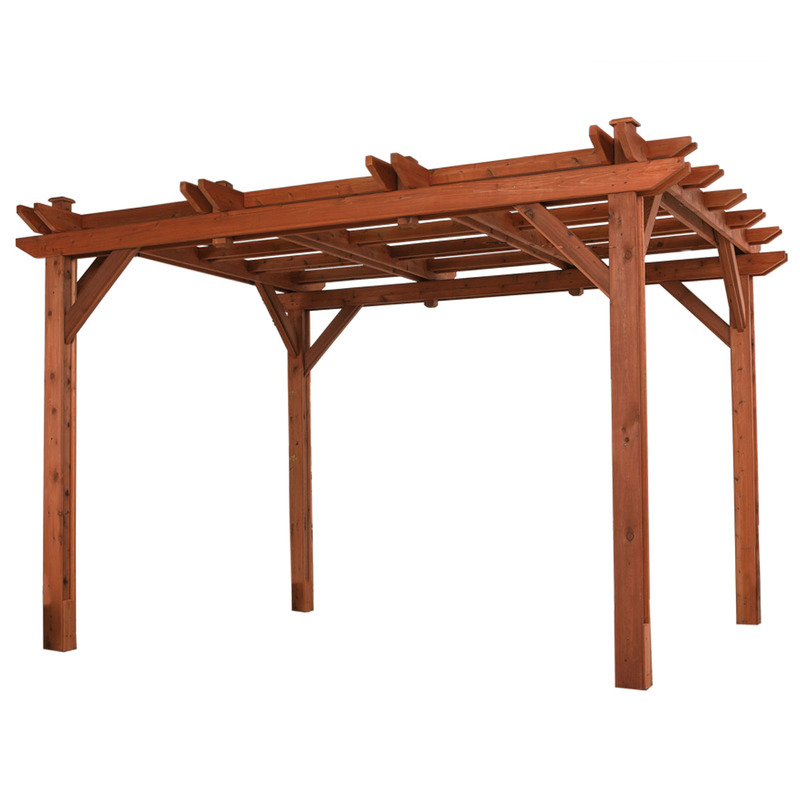 This classic wooden Pergola design combines stunning architecture with long-lasting build, all while giving you an ideal combination of sunlight and shade. 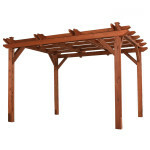 Elevate your backyard, patio, or garden with this gorgeous wooden Pergola. Made from factory stained pine that’s truly renowned for its natural beauty, durability, and resistance to weather; the Avalon gives you an outdoor destination perfect for relaxation and entertainment. With the Avalon, you get totally free delivery and professional onsite installation – so you get to sit back, and watch the extraordinary results take shape. This free-standing Pergola measures 10'x12', and gives you a 10-year, top-to-bottom warranty – this way you never have to worry. From moonlight to sunshine, recreation to romance; at last, you get the world-class outdoor destination you’ve been dreaming of. 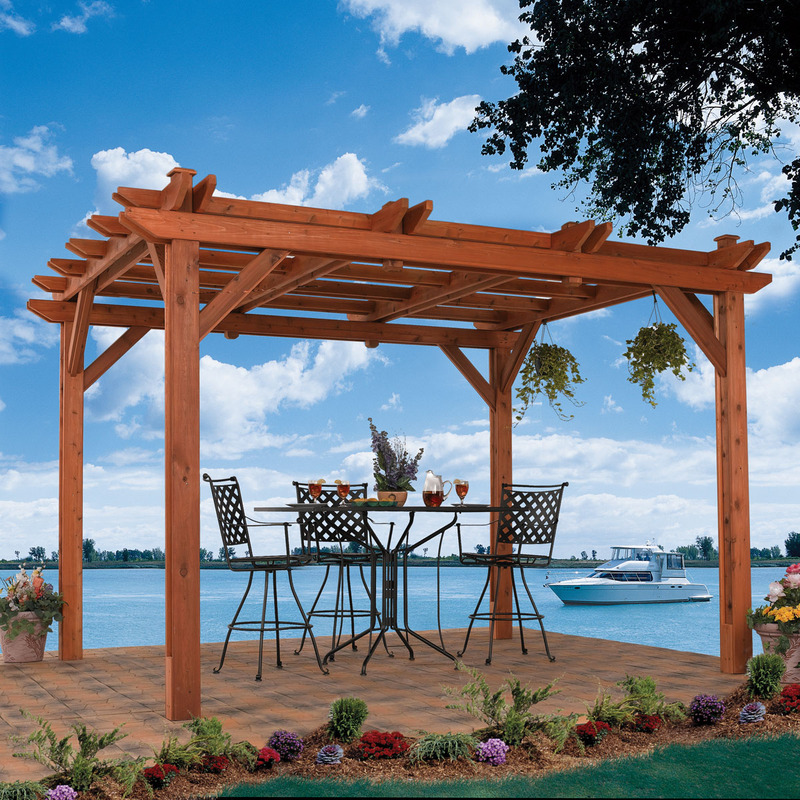 This classic wooden Pergola design combines stunning architecture with long-lasting build, all while giving you an ideal combination of sunlight and shade. At last, you have a truly elegant atmosphere for a candlelit night with family, a barbecue with good friends, or an unforgettable moonlit evening with someone special. The Avalon Pergola gives you the ideal backyard entertainment venue for casual or formal occasions, in the daytime or under the stars. Even better, this picture-perfect design adds a splash of irresistible style to your landscape; elevating your pool, patio, or garden to new heights. Whether you choose to invite your in-laws for a stylish evening, host a romantic dinner for two, or simply gather with your close friends for wine and cheese on a warm summer night; with the Avalon, you’re surely in for a treat. 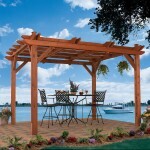 Get your wooden Pergola today, and enjoy a little more luxury in your every day lifestyle. Actual Interior Dimension 129" x 105"
Preserved Pine - 10 yrs. We will contact you within three business days after purchase to schedule a tentative installation date. 3ft. of clearance around your entire outdoor pergola is required. I contacted ShadeTree canopies and will add retractable canopies to mine. It's the best of both worlds!